On a cool winter day, a cup of chili is just the right thing to warm you up. What if you could sample dozens of chili recipes while listening to some great music? That’s what you’ll find at the annual Fire and Ice Chili Cook-off in downtown Blue Ridge. This year the 9th annual event falls on Saturday, February 16th and would make a perfect addition to your Valentine Weekend celebration! In downtown Blue Ridge, along East Main and the Downtown City Park you will be amazed at all the intricate ice sculptures on display. The whole family will enjoy watching professional ice sculpting demonstrations and the children will have the opportunity to write their names in ice or help create abstract sculptures! 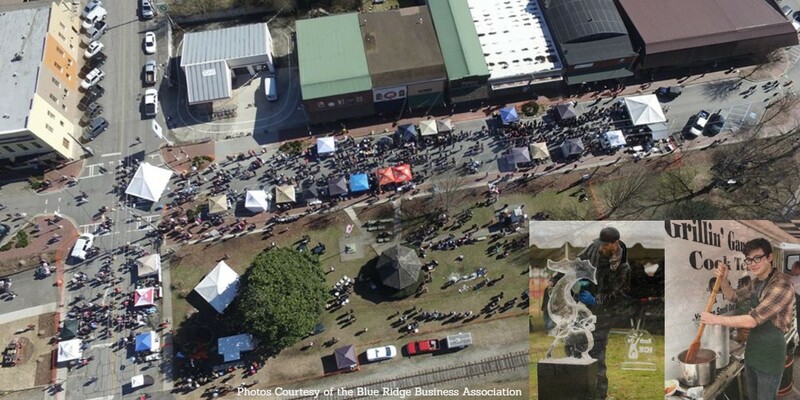 Hosted by the Blue Ridge Business Association and partnered with the Fannin Chamber of Commerce this event will take place regardless of rain, snow or glorious sunshine! Purchase a $10 Tasting Card to sample all the chili options and then cast your vote for the People’s Choice Award. The Blue Ridge Community Theater actors will be present delighting you with their antic along with a full line up of live music! There will be plenty of photo opportunities along the way. So, plan your weekend and come experience the Fire & Ice Festival. While you are in town, we’re happy to show you some fabulous homes in Blue Ridge in between chili tastings! Seriously though, Nathan Fitts & Team is available any time to show off this beautiful community!